Ready for some help to sell your house faster and at a better price? Our Caretaker Marketing Service has been providing valuable services to the Real Estate market in various forms since 1986. It is a carefully managed three party opportunity that creates a win-win-win situation for Sellers, Buyers, Realtors and those we place in our properties. Homes In Transition’s Caretaker Program benefits Property Owners trying to market and sell their house who appreciate a faster sale at the best price possible and who don’t want to spend a lot of money for staging and ongoing monthly expense. While we do not sell your house, our service directly addresses all the perils of a vacant house not only for the owner but for the neighbors as well. If you don’t have a Realtor, we will be happy to refer you to one that uses and understands our program. If you’re ready to get started placing your home in our program, simply complete the form on this page and one of our Consultants will contact you and lead you through the process and answer any questions you might have. Selling your house vacant or occupied is easy in almost any market if you have a nice house that functions well, is located in a good neighborhood with good schools and has a patch of grass for the kids! If that’s the case, you bought right and you certainly don’t need a service like Homes In Transition. However, if you want the highest possible price for your home but may not have all the best amenities or the most functional floor plan or the most attractive finishes or some deferred maintenance you may have a harder time selling. Leaving a house vacant only compounds the problems of deferred maintenance and exposes the imperfections of any house. Remember the last time you emptied a room of your house for painting or emptied your house for your move? The condition of the walls, floors and other finishes often take on a whole different look for the worse. That is one of the problems with trying to sell your house vacant. The imperfections of the house become more noticeable and work against your best marketing efforts. Your vacant house affects more than just the return on your investment. Your vacant house, like any other vacant house in your neighborhood, affects your Realtor’s safety, your neighbors safety, the value of the property and the security of the neighborhood. Even the best of neighbors don’t appreciate being asked the favor of taking care of your house while you leave it on the market for sale. After the first week or so, few great neighbors appreciate the extra burden of removing your weeds, your trash, chasing kids or strangers away from your house or taking responsibility for your stuff. It’s a burden for you, a burden for your Realtor and a burden for your neighbors. Homes In Transition is the solution! 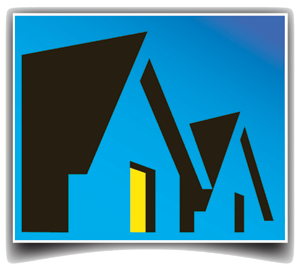 Homes In Transition offers a proven, comprehensive solution for all the issues related to vacant houses. We provide a unique and safe marketing environment for your house while providing asset preservation, security, staging, and greatly reduced operating costs for a fraction of the cost to keep the property vacant or make use of a staging service. In fact, if we can’t help you sell the property within the first 90 days of our occupancy, the cost for the Homes In Transition program is waived! Let us show you how our program will drastically cut your holding costs of your vacant property while providing the essential “breath of life” every vacant house needs. Our nearly 32 years of combined experience and hundreds of houses served bares witness to our reliability and dedication to helping Property Owners just like you get your vacant house SOLD. If your house is for sale and vacant, you’re not doing everything possible to get the highest and best price for what is probably your biggest investment. In fact, your vacant house instinctively tells others that you now have two mortgages and there is a much greater chance you would be willing to accept a low ball offer to unload the burden. Owner occupied homes or those that appear “owner occupied” through the services of Homes In Transition almost always sell at a higher price because that impression created by a vacant house is no longer apparent. A Tip About Selling Your House. When selling your home it’s important to realize that to others, it’s no longer that special place where you raised your family, saw your dreams come true or created lifetime memories. Once you vacate your home it becomes just another house that buyers consider with no attachment and whose only interest is finding the best house at the best price. They are interested in the location, price, condition. They want to know about the foundation, framing, layout, siding, condition of the roof and the amenities your house offers. They have little regard for the history of your home and therefore will not pay for the “personal value” that often leads all of us towards overpricing our home. Your house is just like every other vacant house on the market in the eyes of the prospective buyer which is why you must consider all your options to help it compete with all the other houses on the market. Homes In Transition is a proven program to help sell houses faster and at a better price. We know you have questions. Please review our Property Owner’s FAQ’s for specific answers to your questions. If you don’t see an answer to your question please Contact Us with your question. If you’re ready to to get started placing your home in our program, simply complete the form on this page and one of our Consultants will contact you and lead you through the enrollment process and answer any questions you might have. My house is in better shape than I left it. The house is in better shape because of your involvement . . . I feel terrible she [Caretaker] keeps having things go wrong. I'm grateful she is there and that she and you are giving the house a good shakedown period"
A friend highly recommended Homes in Transition as the solution. Finding a caretaker for property standing vacant awaiting a sale when the owner in unable to remain in it, is a prime concern to those of us to whom this has happened. Everyone knows there is the possibility of vandalism, undetected leaks and/or various other vacant home problems. When I found myself in this situation, a friend highly recommended Homes in Transition as the solution. I contacted Tom Schmidt, President of Homes in Transition. From a carefully selected caretakers' work force, Tom matched caretakers along with their furniture to my match my house. Beautiful furniture, delightful people. All aspects of this happening was handled in a profession and pleasant way. After a year of trying everything else, our house has now sold/closed in just over 2 months. I just wanted to take a moment to send you and your staff a sincere thank you regarding our property. Homes in Transition had a great deal to do with the increase in potential buyer traffic it took for us to get an offer on our home. After a year of trying everything else, our house has now sold/closed in just over 2 months. It was a true pleasure working with you and your staff. Your professionalism and positive attitudes were refreshing and your willingness to move a caretaker in and out in such short notice was nothing short of miraculous. I would highly recommend your services to others and have in fact already started to do so. Thank you again for all of the hard work and help in selling our home. Please feel free to use any or all of the above paragraph for your advertising purposes. It has been a pleasure doing business with you. Our concerns were negated by your company's actions! We arrived in Rio Rancho late Friday night and immediately toured our home on Platina. We were pleasantly surprised to find our home in excellent condition with freshly cleaned carpeting and absolutely no residual pet odor. Although we did have serious concerns regarding the caretakers; our concerns were all negated by your company's actions in honoring your guarantee to return our home to "as good as it was" condition. We thank you for keeping your word and wish you continued success. Thank you again for your services and support. Thanks again to Homes In Transition for all your help! Our Realtor Greg, tells me all is well with the Move-out Inspection Report your company performed. Thanks for getting him the keys since we are out of town. Thanks again to Homes In Transition for all your help.